Would you believe, for several long weeks my mantel was completely bare? Oh it was. The fireplace makes quite a statement all on its own even bare! However leaving it bare just felt… I don’t know. Light. It wasn’t intentional. I had just been ‘borrowing’ things it had on it for elsewhere until it had nothing left! 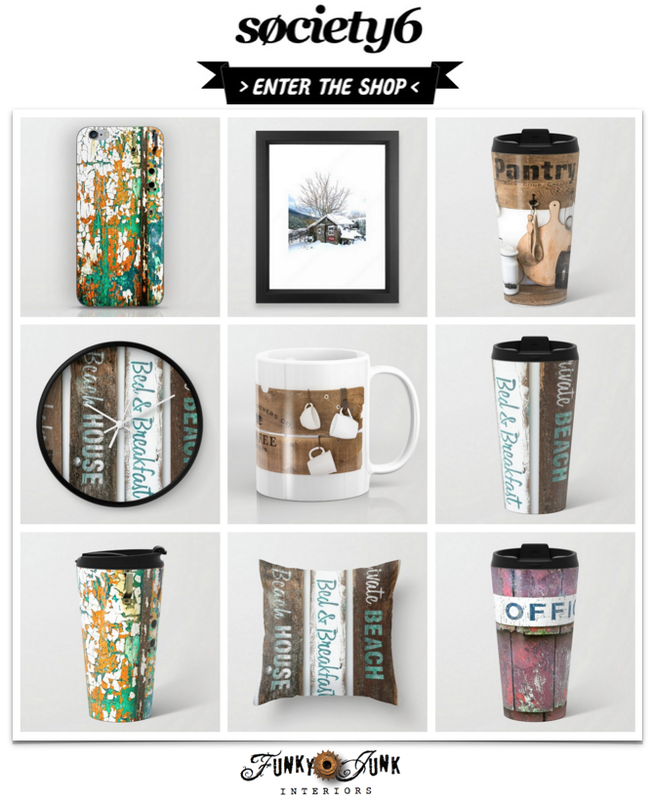 The mantel store if you will. 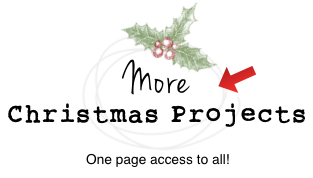 So when I attempted to do something for Christmas, everything looked like it was too many and too forced. Like a little parade of everything I owned. Back to bare it went. Then I closed my eyes to just dream up what I wanted to see, regardless of what I had or didn’t. 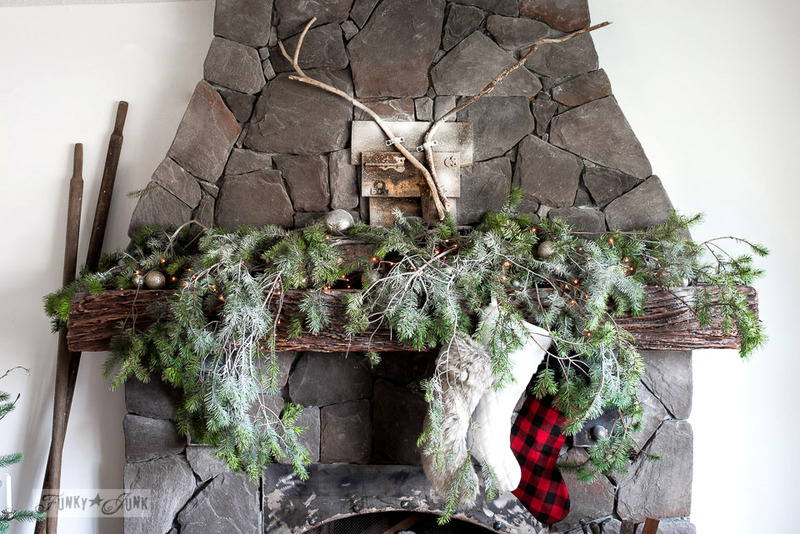 I envisioned one simple element of an overload of random real evergreen branches sort of taking over the mantel. With 3 vintage limp long hung neutral sock stockings that look so cool bundled up in one area only. Ok! With the new focus in place, it was time to hit the road. Literally. I drove along my fav side road route and there they were on the ground just waiting for me. I shook each branch to ensured they were fairly fresh (we get lots of wind storms) and loaded the back of the truck up. I was finally ready to bring the in-my-head slightly modified vision come to life. 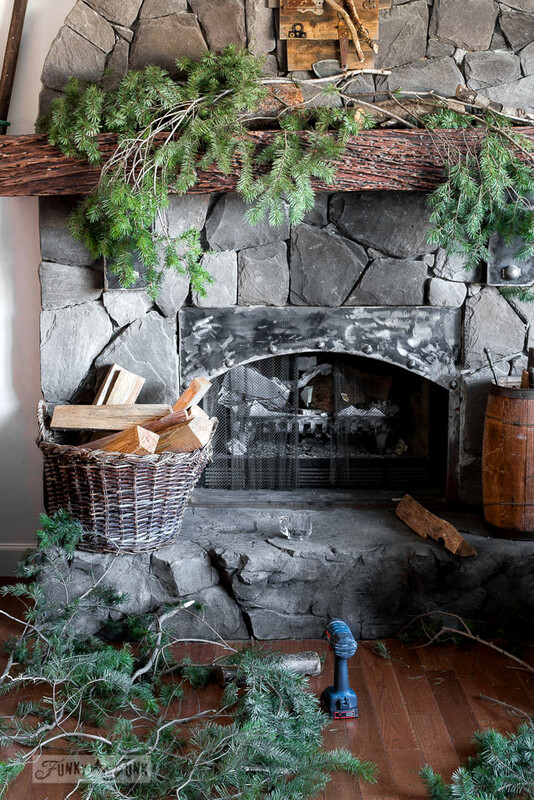 If mini lights will be considered, best to place them on the mantel before the branches. Or try what I did and add them underneath after the fact. Line round edged firewood along the mantel. Place each big main branch one at a time, screwing it to the firewood to hold it in place. Insert smaller branches as fill-ins and to add height. The first trick to figure out was, how could I get all these small branches to stay put?! After deciding they needed to be attached to something, I tried a 2×4. Nope… too construction like as it may show. And that’s when round edged firewood came to mind. I just lined a few pieces up on the mantel, then attached the branches with screws. The screws are hard to see, however one screw is lower right, keeping the log from rolling, and one is upper middle, holding a branch in place. 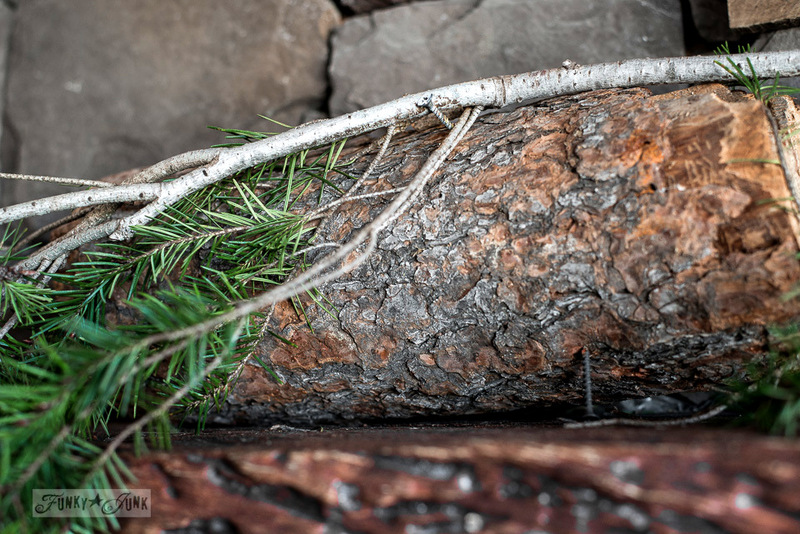 Once I realized this crazy idea may actually work, I filled up the mantel with more firewood, and placed one branch at a time. The big branches were placed first, then the smaller ones were added as fill-ins and to add more height. As you can see, my reclaimed wood deer head made an appearance again! I felt it was perfect, because it didn’t stand out to the point of taking over yet it was a great addition to the overall theme in more ways than one. After all the branches were in place and evening approached, I had wished I had added lights. Instead of redoing everything, I used little brown strung led lights I had, and gently stuffed them under the branches and pulled them out here and there. YES! I highly recommend these lights! Using fresh branches that will dry out, these lights don’t throw nearly the same amount of heat that the regular white mini lights do. Plus, I plan to not turn on the lights once the branches get too dry. But at least I get to enjoy them for a little while! Aren’t those rambling branches just too much fun?! The stockings got puffed up by filling them with Halloween fake spider web stuff. Worked great as it expands if you pull on it. Because the deer head faded a little too much against the rock when viewing it from a distance, I lightly misted the edges with spray snow. The discreet ornaments in silver and gold add the tiniest touch of bling without standing out. 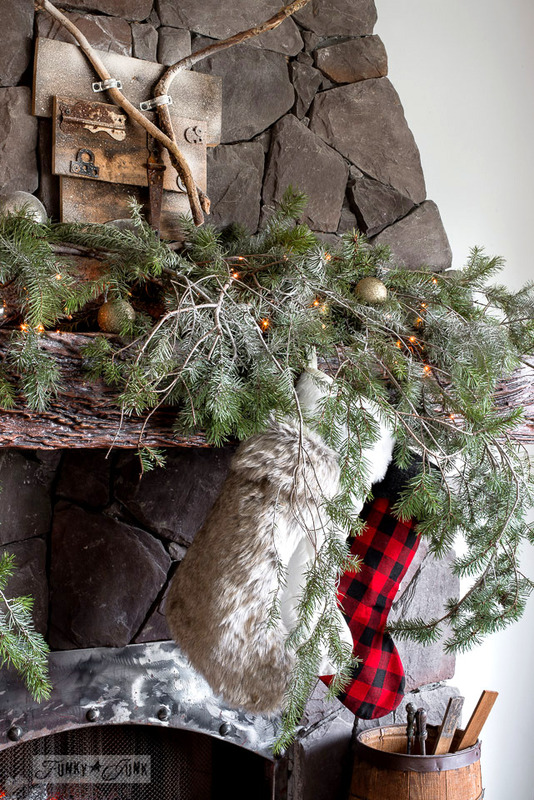 The addition of the tiny little lights make the mantel twinkle rather than illuminate it. I’m absolutely fascinated with them! I wish I could show you in person. 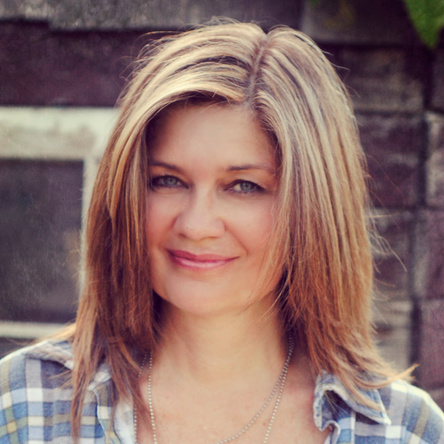 I’m thinking it may be time to add short and sweet video clip bursts to blog posts so you can see what I see. The result is a very cozy, natural look that nearly matched my vision perfectly. Note to self: dream first, then implement. Don’t force it to happen. 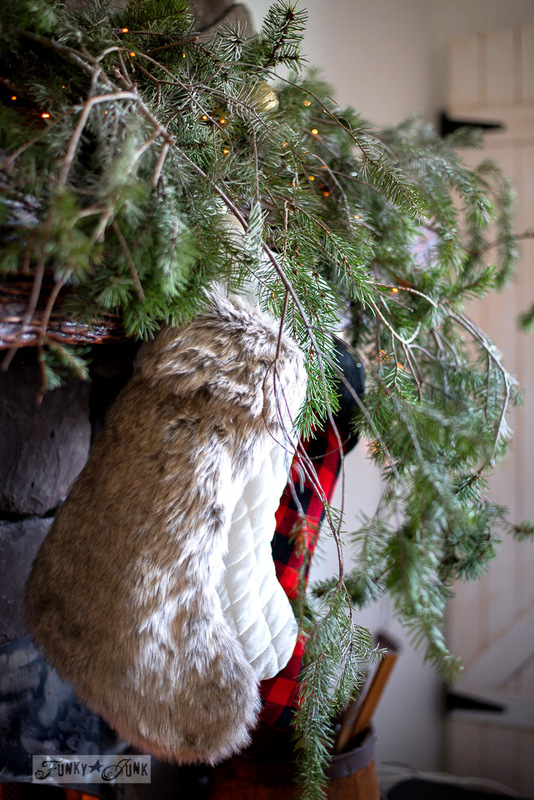 It’s little corner is becoming a cozy cabin branch filled Christmas indeed! 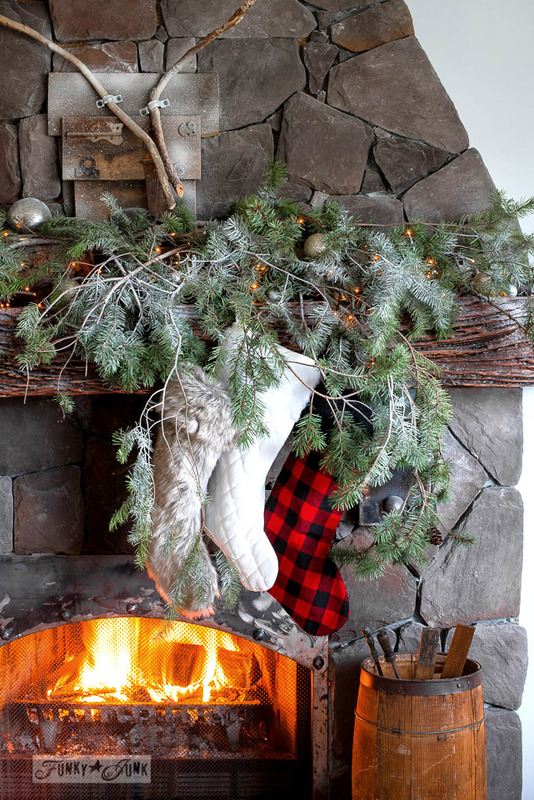 What did you do on your mantel this year? Lovely and natural.it is very easy to look at and enjoy as it does not look forced. Naturally occurring beauty! Looks perfect. The natural elements with just a touch of color. Great job again! You know I love it, those natural elements are fantastic! 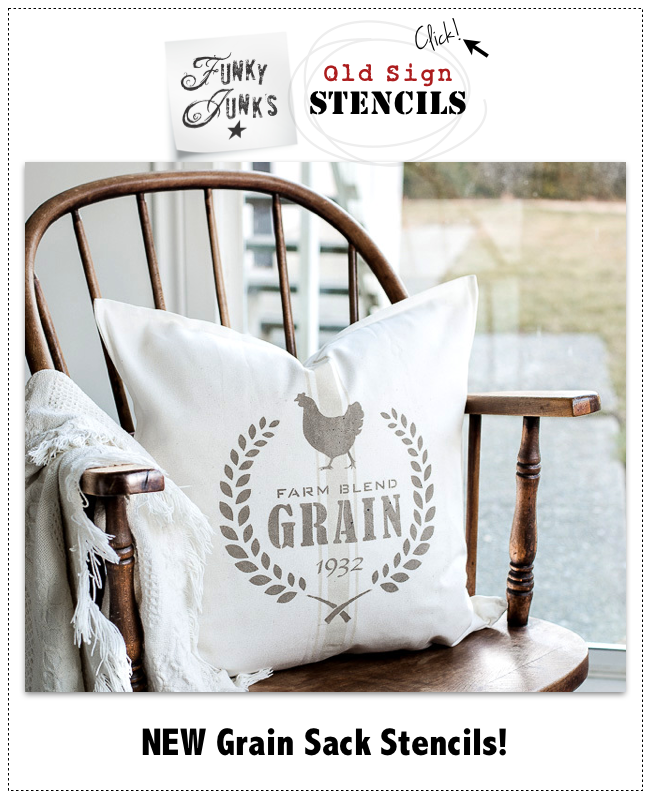 The cabin feel…. We decided to eventually turn the new shed into our Tiny House and I think we’re going cabin style. Just sounds warm and cozy. 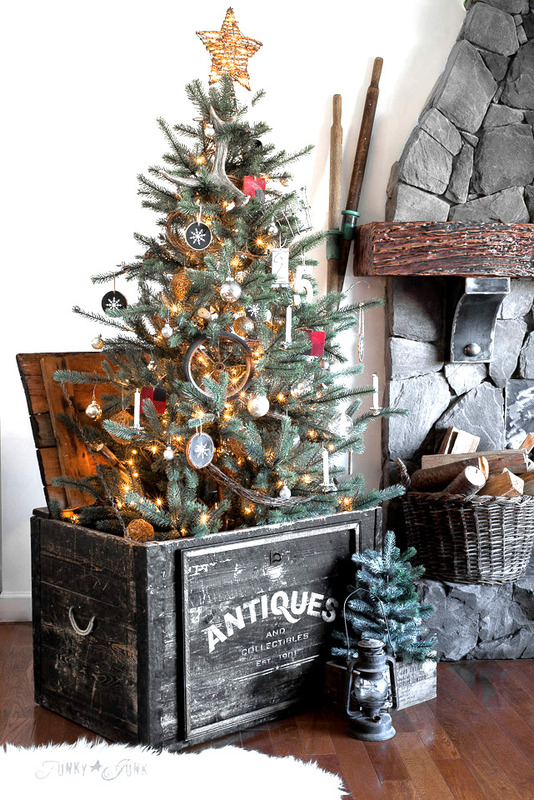 I just had to comment because your mantle is so beautiful and I love the crate that the Christmas tree is in. You always come up with the most amazing ideas showing that you can have a beautifully decorated house without buying, buying, buying! Your ideas are all unique, too. Keep up the good work and I’ll be here to soak it all up! 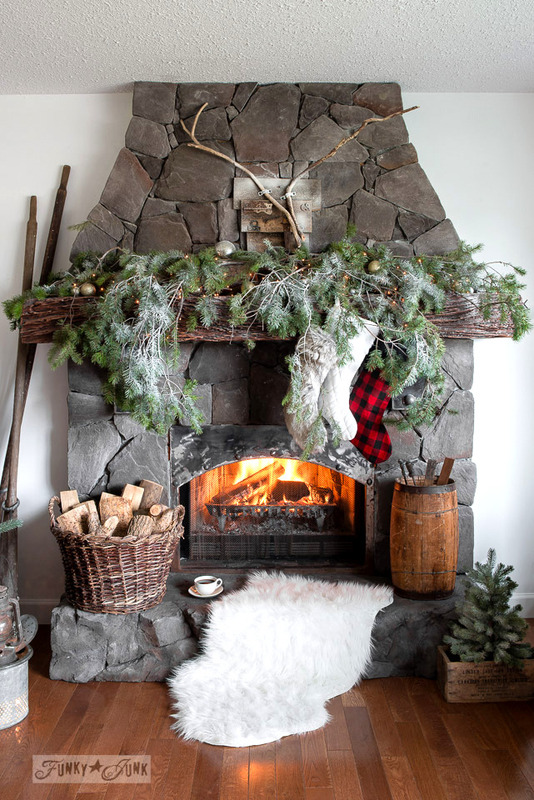 Your fireplace and Christmas Decorations are Simple and Beautiful. 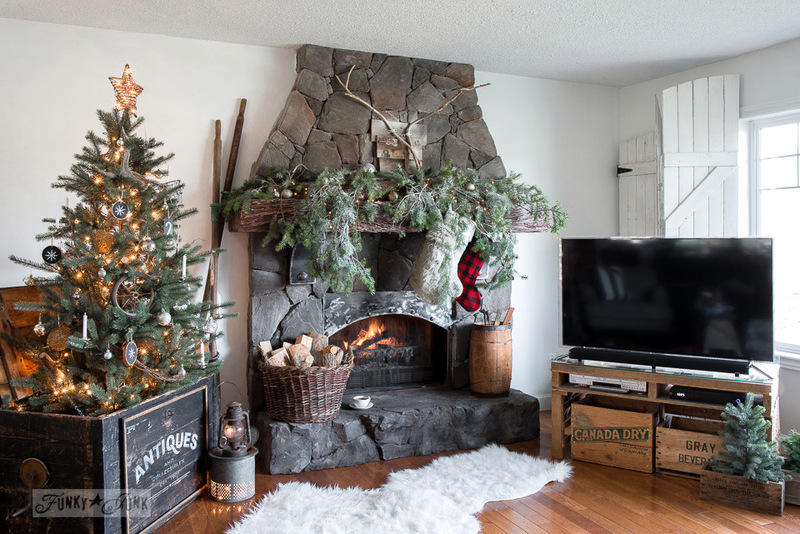 I have a wood stove, and I need a ‘fireplace’ kind of rock wall behind it. All I have now is ugly plain fireboard. I can’t do real rocks though, to much weight for my place. 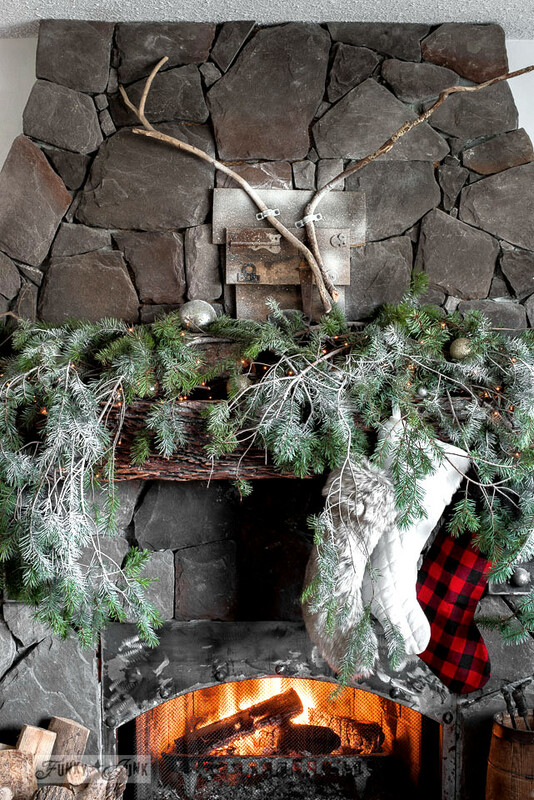 I was at a very fancy wood-stove shop, getting some supplies for my stove, and I learned that many of their amazing looking fireplace displays were made by an artist – who used thin Cement for texture and Painted on rocks over the fireboard walls! 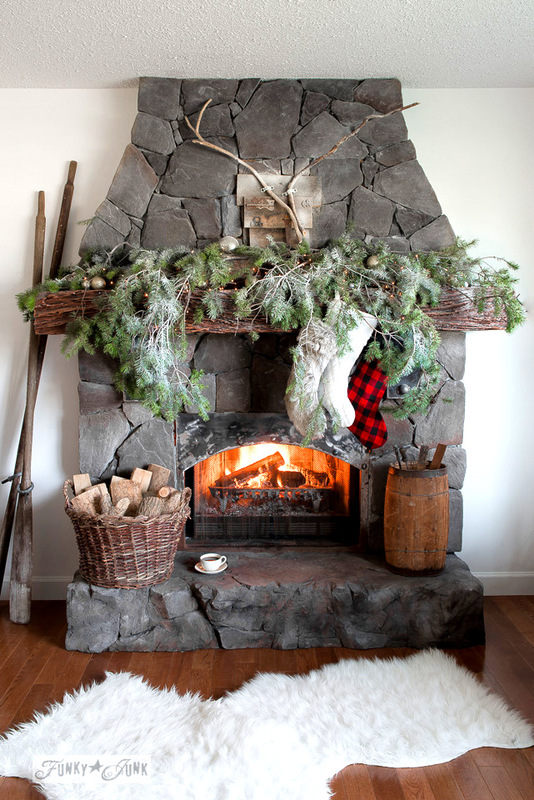 You would NEVER guess that they were not real rock fireplaces. So I took a lot of photos and I am going to try that. My Christmas Project for my home. 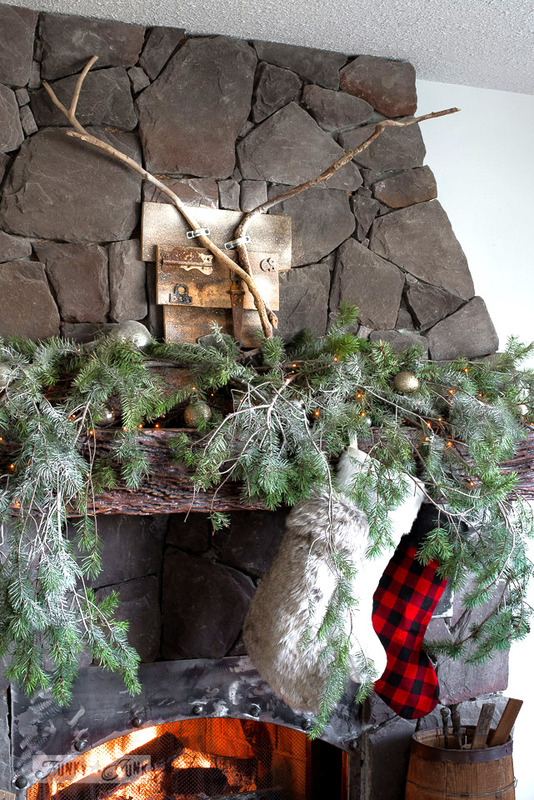 I did something very similar with my mantel! 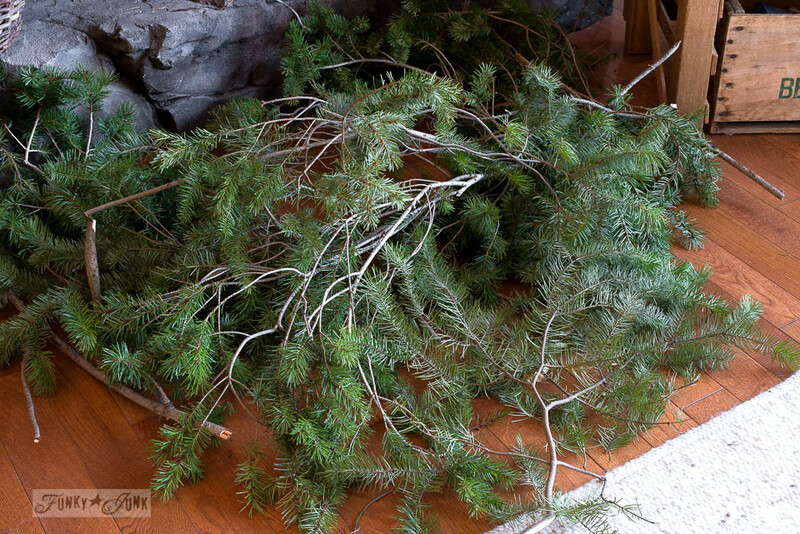 I just snipped some cedar branches from our trees. Did you have any trouble with the tree sap, or were your branches already dried out enough? Hey Kori! I didn’t notice any sap so I’m uncertain how old they were. Beautiful, natural mantle, I love it! 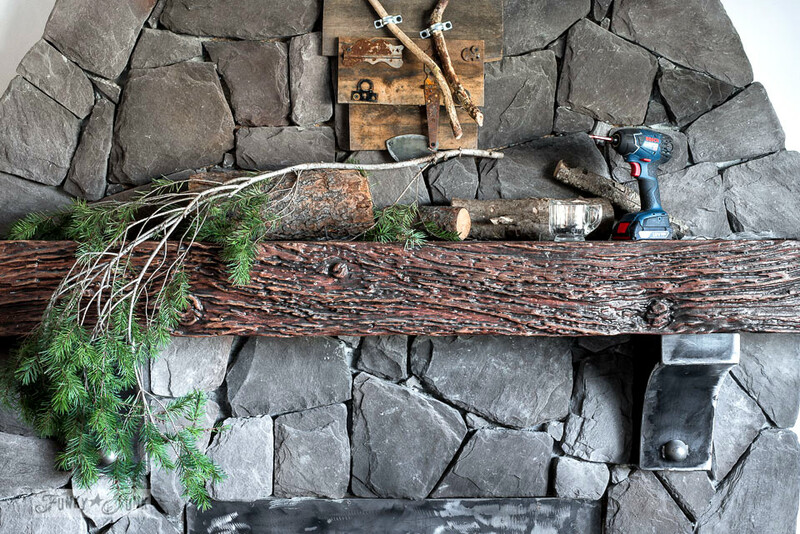 And the idea to use the firewood and screws is brilliant.